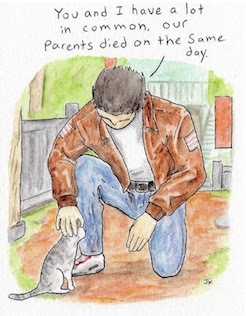 Ryo Hazuki is a Big Fat Liar! It seems this little video I made yesterday became quite popular! 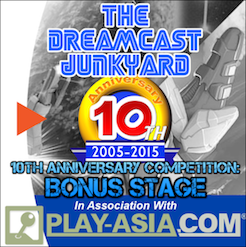 It hit 1,000 views yesterday, and was posted on the official Sega of America blog today! Sega even linked to it on their Facebook and Twitter accounts! 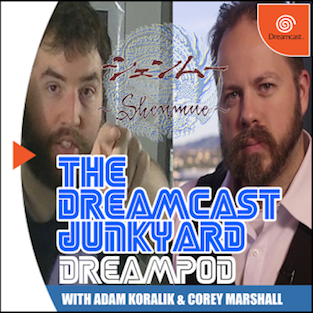 A discreet Dreamcast logo reference? 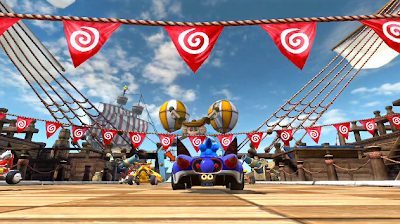 Sega and Sumo Digital's Sonic & Sega All-Stars Racing (SASAR) is less than a week away! 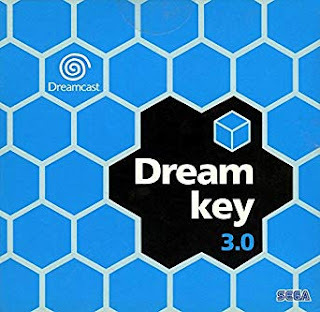 While some Sega fans bemoan the game for a number of reasons, one cannot deny that the game has become so much more than what it began as when revealed at E3 2009. 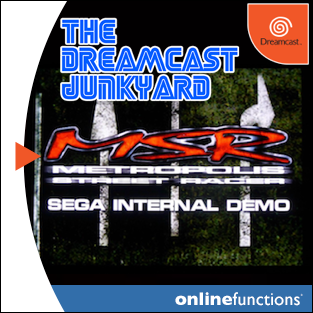 What could have been a lame third party attempt at a spiritual successor to Sonic Riders (which in itself was lame) has become what looks to be a worthy contender for Mario Kart's throne. 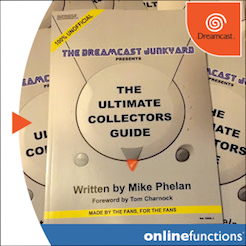 But you, the Dreamcast fan, don't care about all of the above, right? 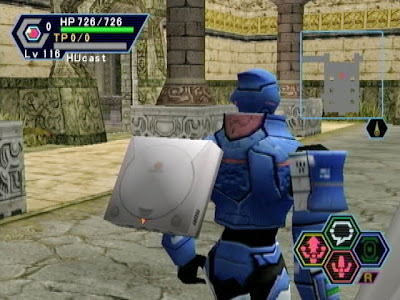 You just want to know what Dreamcast All-Stars will be making an appearance. Let's get down to business. 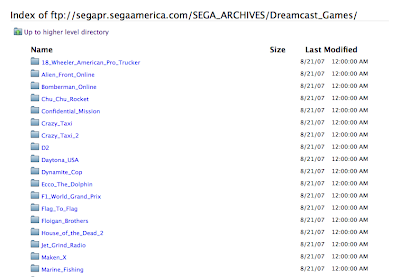 Sonic can't be tied to one console, such as the Dreamcast, but it's worth noting that all the playable (and so far all in-game characters, NPC included) will be limited to the Sonic Adventure series. 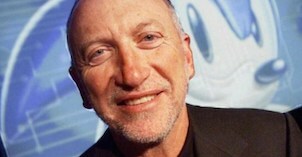 So no fear of Cream, Blaze, Silver or those odd Sonic '06 Eggman robots spoiling the fun. 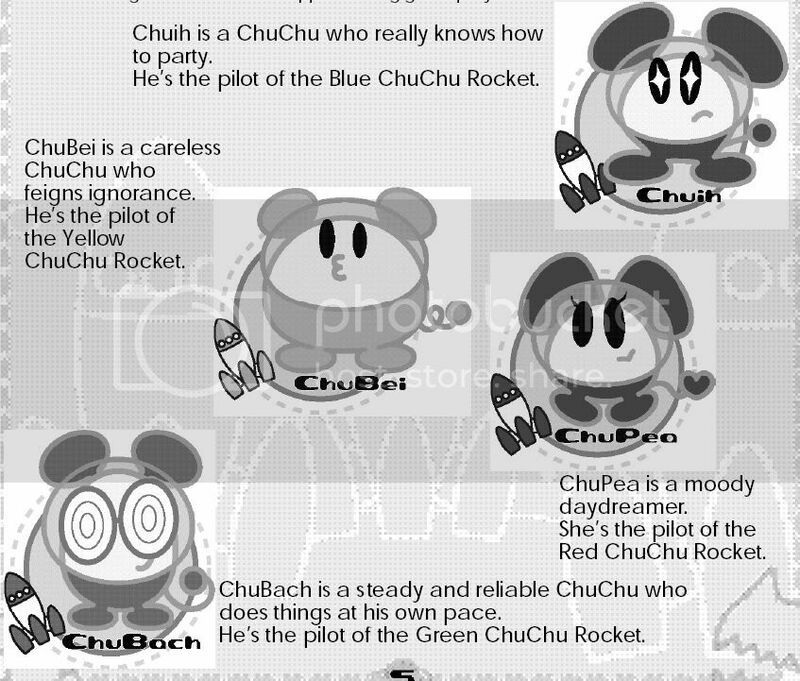 I'll take Big over any post Sonic Adventure character any day. 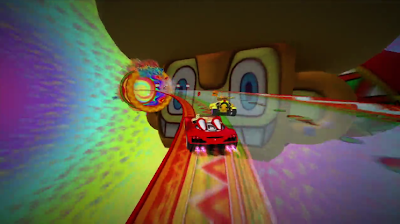 While the three Sonic racing environments are based on Sonic Heroes levels, Sumo Digital has wisely placed nods to other Sonic levels within the tracks. The track Whale Lagoon, for example, features the orca who made Sonic's first 3D stage Emerald Coast an early example of the Dreamcast's graphical power. Ollie the Orca makes his return! The maraca shaking monkey trades his tennis racquet for a racer, and what an odd racer it is. Half dune buggy, half giant maraca. Early reviews seem very enthusiastic over Amigo's tracks. Remember the trippy world you were sent to when shaking to a perfect beat? Well the acid trip ain't over yet! 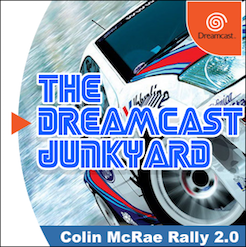 While the inclusion of Crazy Taxi was a no-brainer, some fans feared that Sega would disappoint in not including the most obvious choice for a racer. 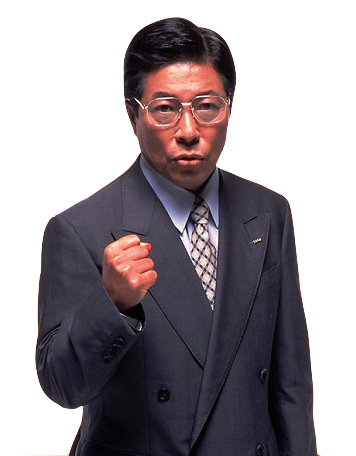 Thankfully, a trailer released in early January assured us that Sega still makes good decisions. CT in SASAR?! High five!!! Sega just can't seem to make a Superstar game without Ulala, though I don't blame them. 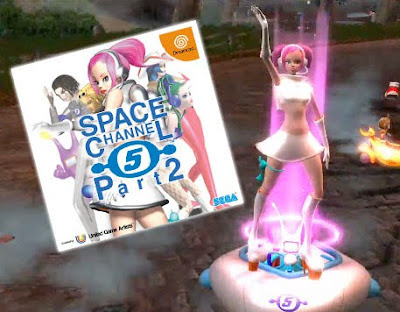 This time out, Ulala has changed into her silver attire as seen in her sequel Space Channel 5 Part 2. 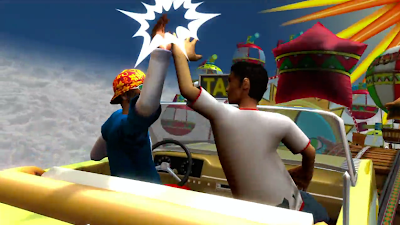 Ulala's All-Star move calls upon a morolian to take the wheel as Ulala breaks out some dance moves. Up, down, left, right turning signal. And you thought the Bonanza Brothers were obscure! 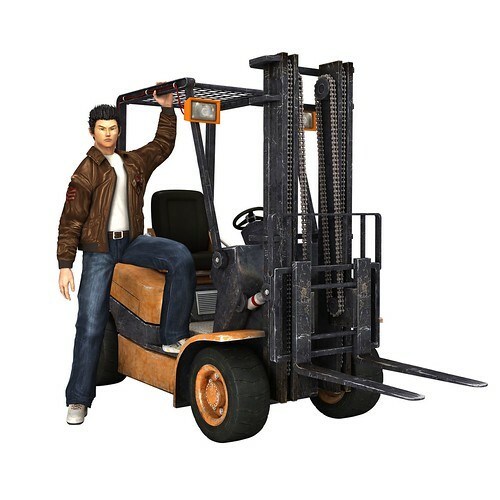 Ryo is in the game, you all know this. Now why haven't you pre-ordered it? 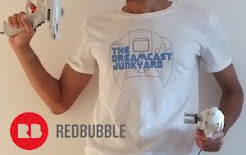 The Dreamcast has got your back. 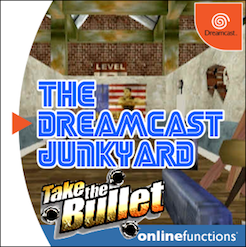 While the Dreamcast may have disappeared from store shelves nearly a decade ago, the internet continues to hold amazing official web pages that sit frozen in time. 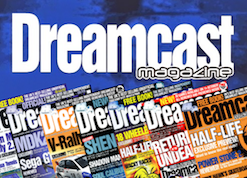 Located on the Sega of America public relations site is a treasure trove of Dreamcast images. 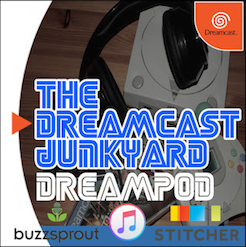 Do you have a favorite Dreamcast game? Chances are it's here! Among the 50+ games represented, one will find a load of sweet Jet Grind Radio artwork, large enough for desktop use. Space Channel 5 treats Ulala fans to many fap-worthy images (can I say "fap" on this blog?) and Seaman is larger than life! 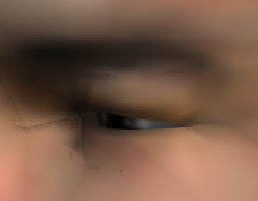 If this is Seaman's eye, imagine how big HE must be! 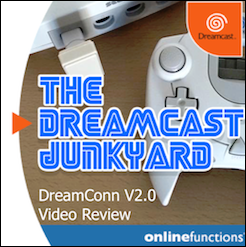 Did the dog/cat/baby/wife pee on your favorite Dreamcast game, destroying the lovely package art? No worries! 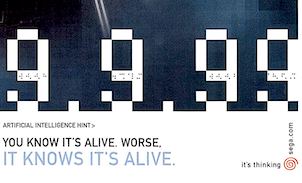 The FTP features many covers, all of them from the original file. No scans here! I'll end this entry with an enormous image of Nozomi. Visit the goodies page and share YOUR favorite image findings in the comments section. Click to make her grow!